Over the last few years there has been a lot of discussion of chemophobia in the popular press and on blogs. But it seems to me that there have been few summaries of the general features of chemophobia and how to exorcise them. So I thought I would put together a short list, largely personal, of the “elements of chemophobia” and possible measures to address them. Most of what I say would be all too familiar to chemists, but I hope some of it might be of use to intelligent laymen for identifying, understanding and dispelling chemophobia. To make the discussion a little more interesting, I have divided each point into “symptom” and “remedy”. I end with a few thoughts on how we can bridge the gap between fear and love of “chemicals”. 1. Symptom – Chemophobes fear “chemicals”: This goes without saying. Chemophobes fear a technically nebulous entity called “chemicals” that’s all too real to them. The problem is that in the jargon of chemistry, “chemicals” essentially means everything in the material world, from fuels and plastics to human bodies and baby oil. Over the years chemophobes have expertly molded the word “chemical” into what’s called a “trigger word”, a stimulus that triggers an emotional rather than a rational response. Psychologists have studied such trigger words closely and have recognized how they can often let emotional instincts overwhelm rational thinking. At best the term “chemicals” is so broad as to be useless, and it also does a disservice to the entire material world. To be fair though, I think most chemophobes when they say “chemicals” are referring to what they are thinking of as “bad chemicals”. One would think that they have a much more benign attitude toward “good chemicals”. But even this poses a problem, as the following point makes clear. An underlying reason for the fear of chemicals is that chemophobes either have a very poor understanding of chemistry or don’t bother to acquaint themselves with the most basic relevant facts. A common misunderstanding is to confuse ingredients used in the manufacture of certain chemicals products with the products themselves. A rather egregious recent example was from the rampantly chemophobic Food Babe blog that talked about TBHQ- an additive found in certain food products. The blog claimed that “TBHQ is made from butane (a very toxic gas)”. Anyone who understands basic chemistry would understand how woefully wrong this statement is; in fact it may even pass the “Pauli test”. It would be as wrong as saying that water should be avoided “because it is made from hydrogen (a very flammable gas)”. All it means is that the chemical formula of TBHQ subsumes the chemical formula of butane (four carbon atoms) within itself. One of the cardinal rules of chemistry is that when atoms combine and form bonds with each other they lose their individual properties. This principle should be on your mind the next time you read about an article that tries to blame ingredients used in a product’s manufacture for the product’s properties. Remedy – Understand that the whole material world is made up of chemicals; it’s what our bodies and minds are made up of. Reacting negatively to the word “chemical” is reacting to something that’s vague and undefined. Try to resist the urge to react emotionally rather than rationally when you hear the word; the only way to reduce the impact of trigger words is to counter them with rational thoughts. Most importantly, ask yourself what precise chemical an article is talking about. Where does it come from? How much of it is in the product? What studies have been done on it? How reliable are their conclusions? Try to find out more about it before you reach a judgment. Never accept any article either for or against a particular compound at face value. 2. Symptom – Chemophobes almost never talk about context: Most chemophobes would probably agree that taking political statements out of context can be grossly misleading. Yet they don’t apply the same principles when talking about chemicals. The problem even with denouncing “bad chemicals” is that chemicals can completely change their properties and utility depending on context. When it comes to chemistry, the biggest aspect of context is the dose; the golden principle of toxicology is the 16th century natural philosopher Paracelsus’s dictum that “the dose makes the poison”. Botulism toxin or Botox is the ultimate example: a chemical compound that can undoubtedly be fatal under the right circumstances, it has become a staple of aging celebrities wanting to preserve their stunning good looks. On the other hand water, which is generally considered to be a good chemical, can be toxic. What surprises me is that a lot of chemophobes are perfectly aware of how widely used drugs like acetaminophen can be dangerous in excessive doses but are still beneficial in small doses, yet they somehow don’t apply the same thinking to other chemical compounds which they consider toxic, from flame retardants in couches to food additives. The Botox example also underscores a ubiquitous and deeply flawed belief that “natural’ chemicals are somehow better than “artificial” or synthetic ones. Our standard of living has improved incalculably because of synthetic chemicals like drugs, plastics and fertilizers. Botox which is very natural can be quite bad, and a lifesaving cancer drug which is very artificial can be quite good. About half of all drugs on the market are synthetic and the other half are natural. Both categories have beneficial effects when used as described and ill effects if abused. Thus it’s almost impossible to objectively categorize an individual molecule as “good” or “bad”. Chemophobes’ cheerful dismissal of context is symptomatic of a bigger problem which is all too common – a lack of appreciation for details which are really at the heart of science. Although many principles of science can be simply explained, the truth is that the meat of science is all about details and subtleties, and it’s very easy to completely misunderstand a scientific study when you shirk from the details. A good example is a recent post on so-called “toxic couches” which are purportedly laced with harmful chemicals. As I made clear in my analysis of the post, it seemed that the author – who has an M.D. degree – had not actually read the primary literature on the compounds which she claimed were poisoning her couch. There was no examination of the actual evidence supposedly implicating the couch chemicals as toxic agents. If the author had done this she would have easily understood that the evidence for her assertions was flimsy at best. This is a common thread underlying almost all articles reflecting chemophobia. There are no references to the underlying literature and no context. One is made to believe that the mere presence of the chemical under consideration makes it a health hazard. Remedy- Remember that chemicals are no different from most of the technologies that beset us, technologies that can be used for good or evil depending on the context. We cannot divorce their properties from the context and circumstances under which they are being discussed. When it comes to context, not all of us are inclined or qualified to read the primary literature and analyze detailed chemical or medical studies. So I have found it useful to keep three key context-specific aspects of chemical compound and their effects in mind and to marshal these aspects into a test that any purported chemical should pass to merit the word “dangerous”. These three aspects are dose, sample size and test animal. Even if you don’t know what these are for a particular study, it handsomely pays to at least withhold judgment by asking about them. I will talk about sample size in the next point but let’s focus on the other two for now. The importance of dose has already been mentioned. Perhaps the most relevant measure of dose in the context of chemophobia is a well-known number called the “LD50” which is the amount of chemical compound that causes death in 50% of the test animals. A lot of times when dangerous chemicals are mentioned by chemophobes, their LD50 is quite low. The nature of test animal (which is already part of the definition of LD50) is also paramount. Many toxicology and chemical studies are done in mice or rats – for good reason – and if there’s one thing you should remember it’s that (with few exceptions) mice and rats are not humans. Although there is some overlap, it’s safe to assume that the effects of a drug or potentially toxic chemical would significantly differ between mice and humans. Another parameter is mode of ingestion; I am sure the material in my t-shirt will probably cause some harm if I ingest it in large quantities but it’s perfectly safe to wear it. The toxicity of a lot of compounds depends on the way they are formulated (solids, liquids, amorphous powders etc.) and therefore the way they are absorbed and excreted by the body. The toxicity also depends on the time they spend inside the body. Again, the point of this listing is not to enable casual leaders to read the primary literature on LD50, animal studies or formulation but to simply raise questions related to these aspects when they read any article purporting to report the presence of dangerous chemicals in our environment. Vigilance and critical questioning are very effective first barriers to uncritical acceptance. 3. Symptom- For chemophobes everything is “linked to cancer”: Read almost any article about “dangerous chemicals” and you will find them somehow associated with cancer more than with almost any other disease. But the phrase “linked to” is so broad as to be almost useless. Linked to can mean anything from “having a tenuous and unproven connection” to “having a direct correlation” to “considered as a causal factor”. When chemophobes tell us that something is “linked to cancer”, they would have us believe that it “causes” cancer. It is impossible to believe this unless you read the primary literature and in most cases you will find that the truth is quite complex as best. Again, the devil is in the details, in this case in the devilish complexities of the statistics-based science called epidemiology. As legions of studies have made clear, it is very, very difficult to find a correlation – let alone causation – between any single chemical compound and cancer. Science writer George Johnson wrote an excellent article describing the highly ambiguous correlation between chemicals and cancer in famous cases like the Erin Brockovich story. Part of the reason is that the “natural” cancer background is already very high and we are often challenged by the difficulty of detecting a small excess of cancers in this high background; in fact this high natural background is probably the reason why many chemicals are inevitably associated with cancer in the first place. There have been undoubtedly some cases where this connection has been found, for instance between scrotal cancer and soot or between cigarette smoke and lung cancer. But firstly, these cases are in the minority and secondly, these connections were firmed up only after decades of very exhaustive studies utilizing very large population samples. The same caveat applies to connections between chemicals and almost every other malady. It’s really not possible to draw conclusions unless you scrutinize the statistics. Remedy - The problem again is that most of us are not inclined or qualified to analyze complex statistical analyses. But statistics is one of those things whose mere awareness gets you brownie points. There are a few simple measures. Going back to the previous point, the single most important question to ask is regarding sample size. A century of statistics has now made it clear that small sample sizes introduce large errors. The “toxic couch” post for instance based its conclusions on a study with a very small sample size. Statisticians have devised ways to deal with small samples, but as a first approximation you should suspect any study that deals with small sample sizes and does not provide error estimates. Other factors to deal with are sample homogeneity and bias and measures of statistical significance. Again, not all of us can become experts in statistics but the very process of asking these questions will make us rightly skeptical of articles evidencing chemophobia. This is not an “Us vs Them” argument. I want to end with a plea to build bridges. More than anything else it’s important to empathize with people who fear chemicals. It’s important to understand that these people come in a variety of shades. Many of them simply try to apply the Precautionary Principle and err on the safer side. Many subscribe to the common “Not in My Backyard” sentiment which even chemists would agree with; even if I may fully realize the lack of correlation between, say aniline exposure and cancer, that does not mean I will be ok with tons of aniline being dumped into the soil surrounding my house. Some chemophobes do indeed do it for the publicity even when they know better (anti-industry sentiments almost always sell well on the Internet), and there’s also some who have probably made up their minds and are impervious to reason. Chemophobes thus mirror the same kind of diversity of opinion that you find among climate change skeptics and religious believers and it’s key to not paint all of them with a broad brush. The extremists probably would not be swayed by any kind of argument but I would like to believe that the majority of chemophobes are not in this category and are open to rational argument. The important thing to realize is that many of these people have at least partially good reasons to express deep skepticism about synthetic chemicals. Even though we as chemists would like to dismiss their fears as irrational, we need to appreciate that Love Canal, Bhopal and Woburn don’t exactly make it easy for us to make our case. In many of these cases the effects of individual chemicals on people’s health were very hard to tease apart. What was uncontested though was the unethical behavior of chemical companies which polluted rivers, soils and groundwater with chemical waste. I just finished Dan Fagin’s superbly researched and written book “Toms River” which documented the unethical and illegal practices of Ciba-Geigy in polluting the environment around Toms River, NJ over a period of thirty years. While this was really the fault of the company and not the chemicals themselves, one must sympathize with the people who waged an expensive campaign against opponents with deep pockets and waited for decades to find an explanation for the heartbreaking early deaths of their sons and daughters. Even if victims of alleged chemical actions may be looking in the wrong places for an answer, their experiences are very real and we don’t have to agree with them in order to empathize with them. We need to do all we can to separate the companies from their products, but we have to appreciate that it’s much harder for a mother who has just lost her 6-year old son to leukemia to do this. Finally we need to recognize the common bonds that hold all of us together. Scrutinize writers who display chemophobia and we find that many of them share the same goals that we do: to keep our children and our environment safe. Some of them are proponents of healthy eating, others want to hold companies with unethical practices accountable. Look beneath the surface and we find that although our paths may be different, our destination is the same. In JFK’s immortal words, “Our most basic common link is that we all inhabit this planet. We all breathe the same air. We all cherish our children’s future. And we are all mortal.” This parting message should bring chemophobes and chemophiles together; if nothing else, we are all woven from the same chemical tapestry. Adapted from a previous post on Scientific American Blogs. There is a real need for articles like this. To my surprise, the confusion is abundant even among people with higher education. As I explain to my children in simple words: it is possible to “organically” grow a poisonous plant and it is also possible to create in the lab (synthesize) “chemicals” exactly like the ones found in medicinal plants for curing diseases”. When someone tells me that they only use chemical free products I ask them if they eat only sunshine and use meditation to cure their ills. Then I ask how they survive without breathing. Once I have their attention (usually a blank stare with a slack jaw), I try and explain what a chemical is. Most people will listen. Confuse, then educate. You can almost see the light bulbs going on. Many thanks for an excellent article. As a chemist that works in regulatory compliance and also defence against detractors I can only echo the experiences listed above. What we have seen is effectively a rebirth of the vital force theory - the notion that chemicals that occur naturally are inherently safer than ones that are synthetic. From this side of the pond I can recommend the UK group Sense About Science which has set itself as a consultancy for us by journalists to get an unbiased view of claims made about chemical X or chemical Y to test the claims as well as being a body that will give an unbiased view of issues such as GMO, fracking, combined vaccines etc. The key part is to base the discussions on evidence. 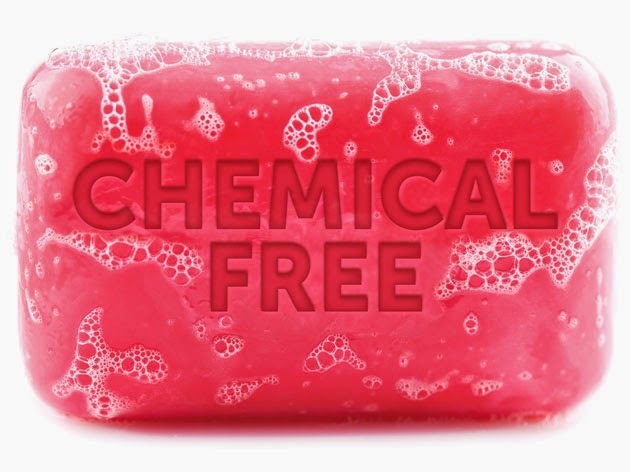 You may be interested to know that a case was raised by learned societies to the UK Advertising Standards Authority about an advert that claimed a product was "chemical free." Alas the ASA found for the advertiser stating that the public would make the assumption that the term actually meant that the product was free of synthetic or industrial chemicals rather than think that the product was made from nothing. So we see that there is a lot of work to do and I greatly welcome your discussion.